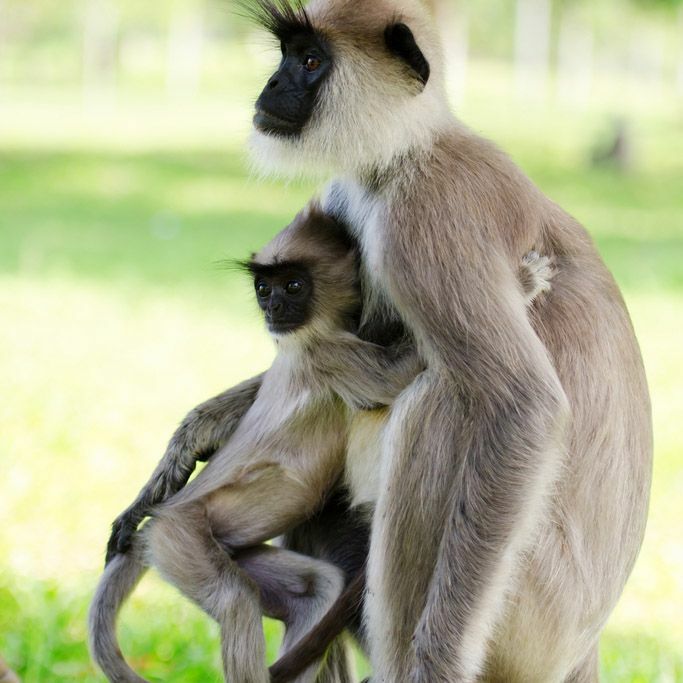 Our nature tour takes you on a tour of Sri Lankan wildlife, including national parks, nature reserves and sea excursions. This tour takes you to the Cultural Triangle, the mountain region and the Southern Nature Reserves. 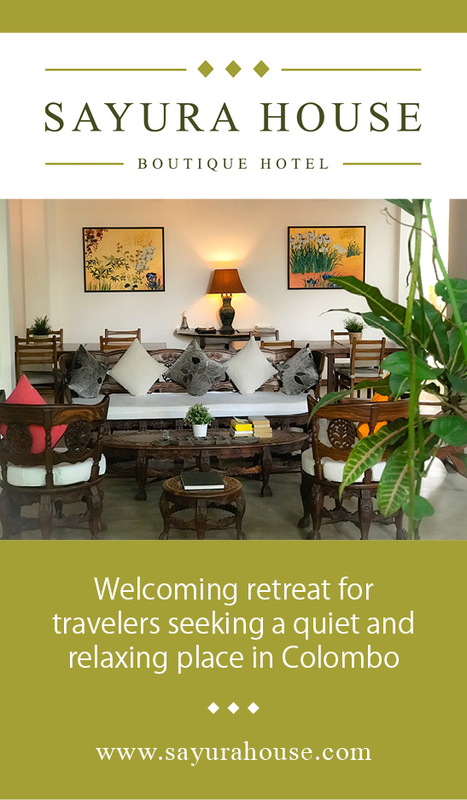 Discover leopards in the Yala National Park, elephants in the Minneriya Park, primates in Polonnaruwa and whales off the coast, trek in the Horton Plains Natural Reserve, and finally relax on the beach where you will certainly meet a turtle. 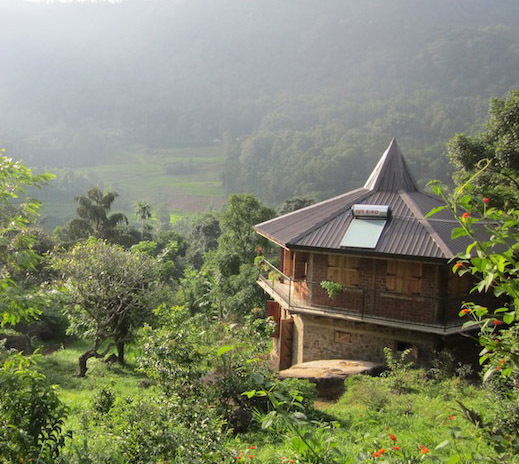 This unique tour offers you many opportunities to observe the local fauna, including some endemic species and the flora between thorny forests, eucalyptus forests and tea fields. Upon arrival at the Bandaranaike Airport, your driver welcomes you. 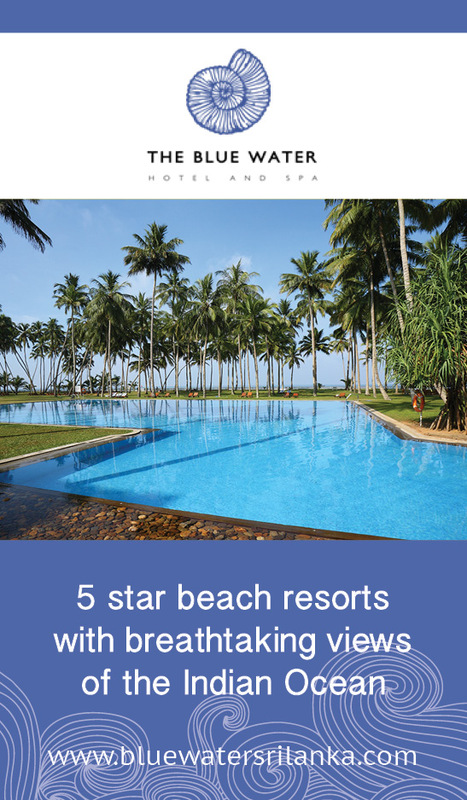 You are greeted by the tropical air of this magical island, and for your first destination your drive to Negombo, close to the airport and therefore ideal for resting after a long flight. The seaside city is nicknamed "Little Rome" for its many Catholic Churches. After settling in at your hotel, depending on your arrival time,After installation at your hotel and according to the time of your arrival, you have the opportunity to walk through the city to discover the beautiful colonial churches, the canal, the port. 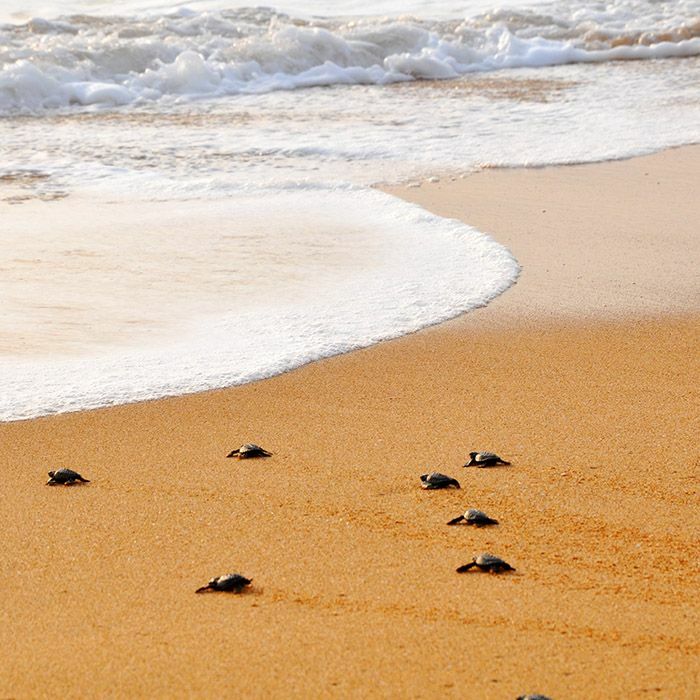 Negombo is ideal for a first immersion with the local population. Dinner at leisure. 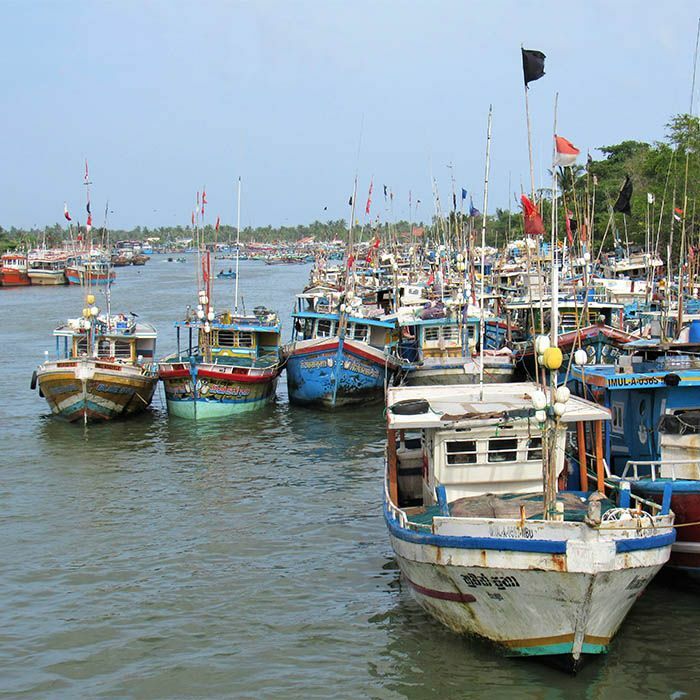 Early in the morning, you start with an optional boat trip in the Muthurajawela marsh south of the city, known as the sanctuary for a hundred bird species, and then go to the fish market of Negombo, very famous in the country, stroll on the beaches and meet fishermen. 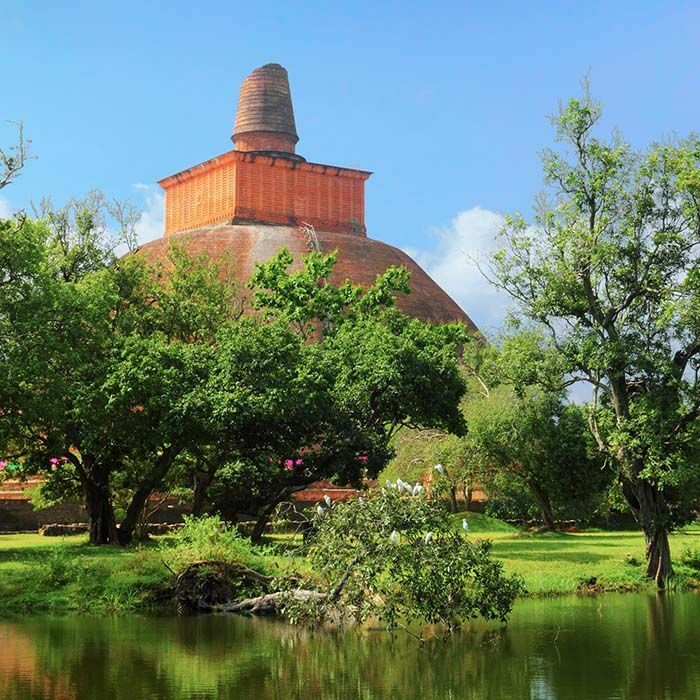 Take the road to the northernmost cultural site of the Cultural Triangle, the holy city of Anuradhapura, listed by UNESCO, whose royal ruins adorn this territory of 50km². There are a multitude of Buddhist temples still in operation, and the sacred Sri Maha Bodhi tree. Your driver-guide will introduce you to the most beautiful dagobas and tell you the story of this city that has been prospering for more than 10 centuries. Dinner at the hotel (included). 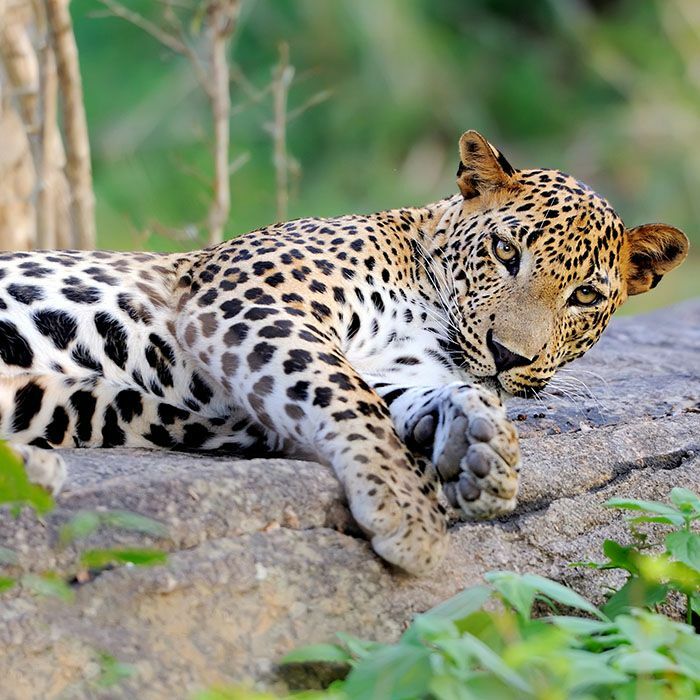 Early in the morning (we recommend you be there at sunrise), go on a jeep safari in the Wilpattu National Park and observe a variety of wildlife: crocodiles, leopards, buffaloes, hinds, lizards , cormorants, pelicans and other aquatic birds, and even leopards for the lucky ones. The spots where you are most likely to observe the animals are often the watering places, where they come to drink. 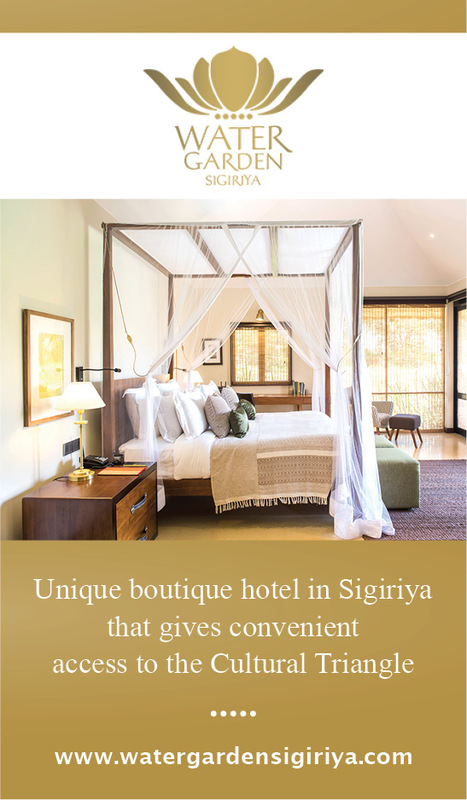 You continue your journey in the Cultural Triangle towards Sigiriya. On the way, discover the Ritigala Reserve, where an Indiana Jones movie was made! You will find the ruins of an ancient Buddhist monastery surrounded by lush vegetation, it is a beautiful walk to do. You join your eco lodge for a moment of relaxation. Dinner at the hotel (included). In the morning, visit the incredible site of Dambulla.This religious site perched on a UNESCO World Heritage Site since 1991. High place of pilgrimage, this temple-caves are composed of five caves decorated with multiple statues of Buddha and covered in magnificient frescos. Once on top, you will be able to enjoy a wonderful view of the surrounding area. You can also take a stroll through the fruit and vegetable market in Dambulla where you will discover many unsung vegetables. In the afternoon you take a jeep safari in Minneriya National Park. This park is renowned for its elephant population that you will see - hopefully - by the dozens, depending on the season. Dinner at the hotel (included). Early in the morning, to avoid the crowds, you visit the Sigiriya Lion Rock, whose massive rock overlooks the village of 200 meters high. Your guide will make you discover the different parts of the site, the cave with frescoes Demoiselles, the gardens and ruins of Kasyapa Palace at the top. 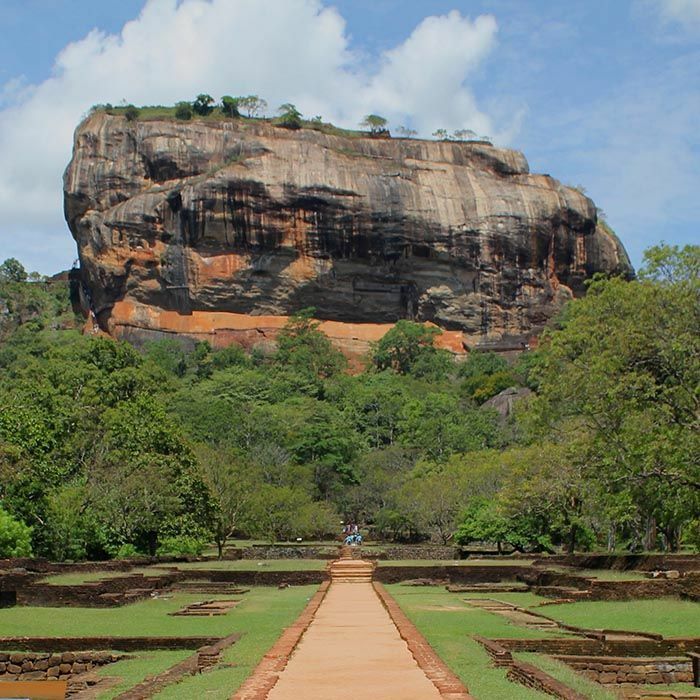 This site owes its reputation to this megalomaniac king who built his residence there in the 10th century.It is classified in UNESCO, it is the most visited site of Sri Lanka. 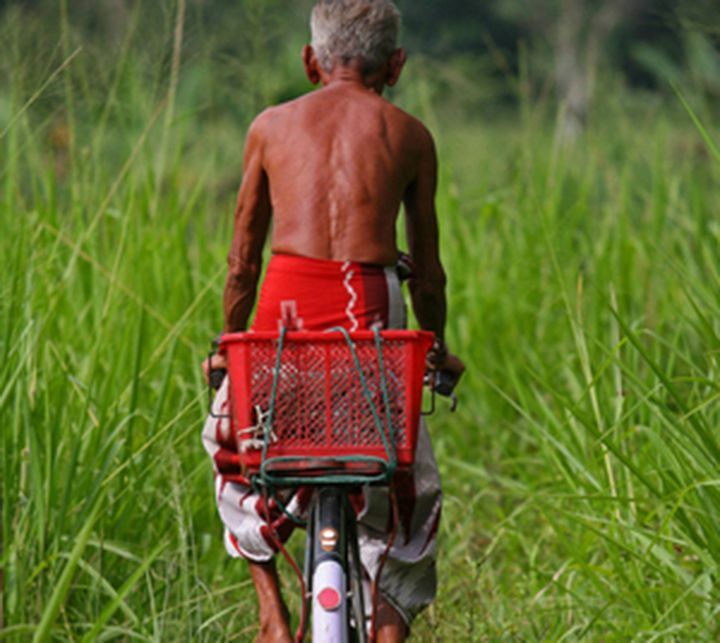 Afterwards, go to the small village of Hiriwaduna, for a ride in an oxcart and discover the Sri Lankan countryside. You have lunch at the site. You then take the road to Polonnaruwa, ancient city which was the royal capital of Sri Lanka during the eleventh and twelfth centuries, and extends over ten km ². Dinner at leisure. 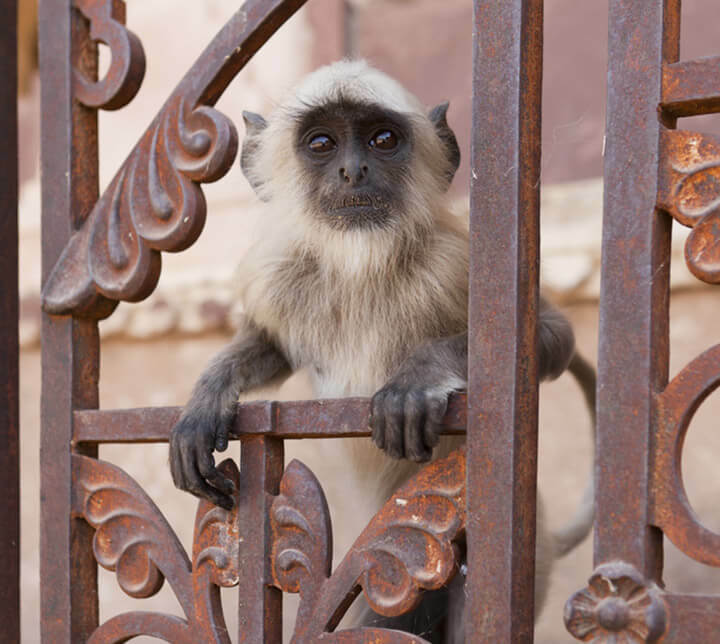 After early breakfast at the hotel, leave to explore the heart of the archaeological site of Polonnaruwa, you leave early in the morning for a guided tour to observe the primates of different species, who live in the forest. Take a stroll to the beautiful Parakrama Samudra Lake. Then you take the road to the mountain region. 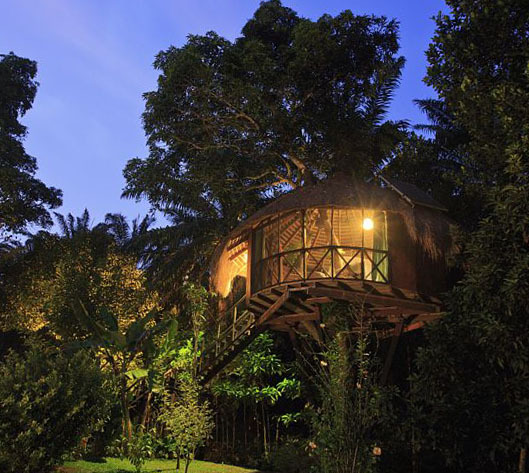 You stay in an eco lodge in the heart of the jungle. Dinner at the hotel (included). 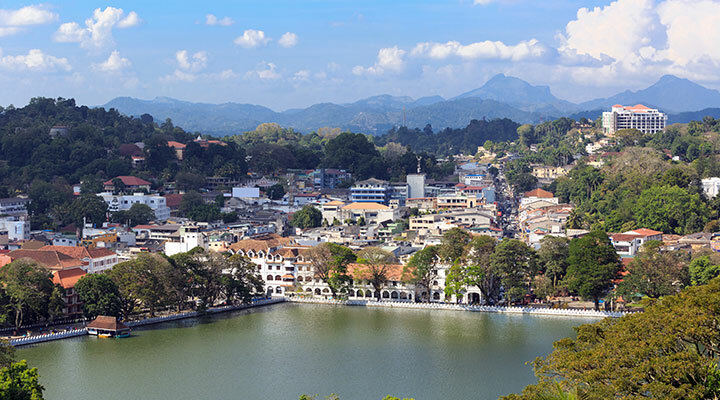 This morning, discover Kandy, the last royal capital of the island, which preserves an aristocratic atmosphere. Visit the Temple of the Tooth, sacred Buddhist temple. The site, which is richly decorated, houses the relic of the tooth of Buddha. You could continue by a walk around the lake (about 4km) and end with the market, not far from the lake. 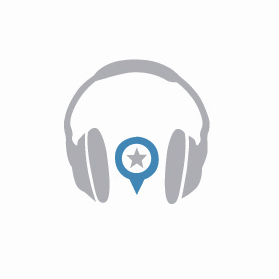 Its atmosphere and diversity of products are really worth seeing. You then join the "Millennium Elephant Foundation", a center of care dedicated to elephants. After lunch (on the site), meet the team of volunteers. 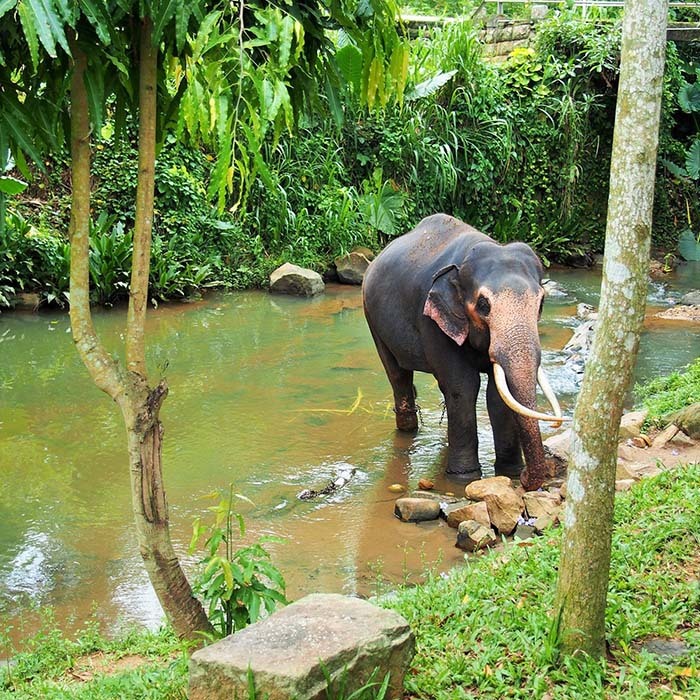 Help one of the elephants take a bath and go for a walk by his side (we do not recommend elephant rides). Dinner at the hotel (included). 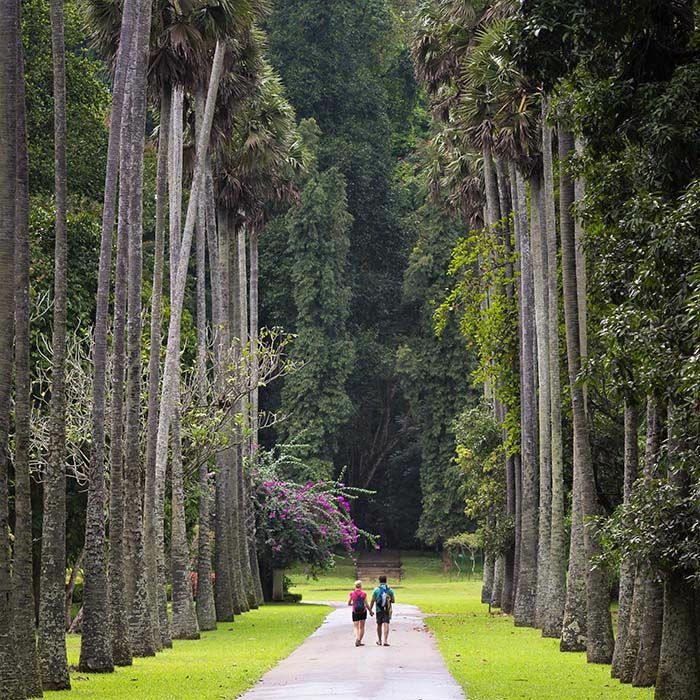 This morning, you visit the Peradeniya Botanical Garden on the banks of the Mahaweli River. This garden, which extends over 60 ha, offers a very nice walk. Do not miss the royal palm alley, the cannonball trees, the orchid collection, the colorful flower beds. Then you embark on the train to reach the country of tea. In front of your eyes parade the most beautiful landscapes of Sri Lanka. 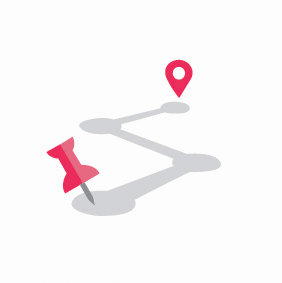 Your driver will pick you up at the station to take you to your accommodation. Dinner at leisure. Many hikes are possible in this region. We recommend Horton Plains Park. This hike of 10 km on marked path makes you cross plateaus between 2100 and 2300 meters of altitude alternating forests and waterfalls. The relief changes regularly and gives you the opportunity to enjoy beautiful panoramas. 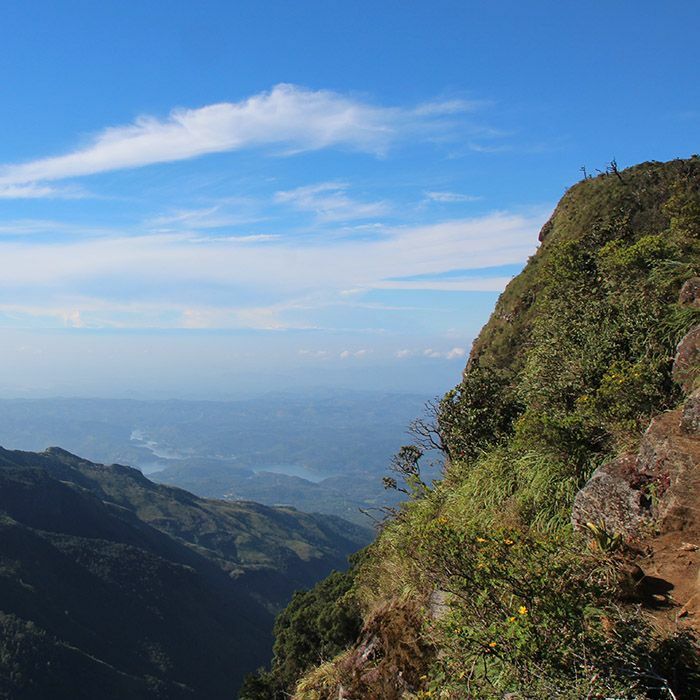 The Horton Plains site has been listed as a UNESCO World Heritage Site since 1988 for its endemic species. You reach the World's End and finish at Baker's Fall, a rocky plateau dropping more than 800 meters. You return to your accommodation for a moment of relaxation. Dinner at leisure. 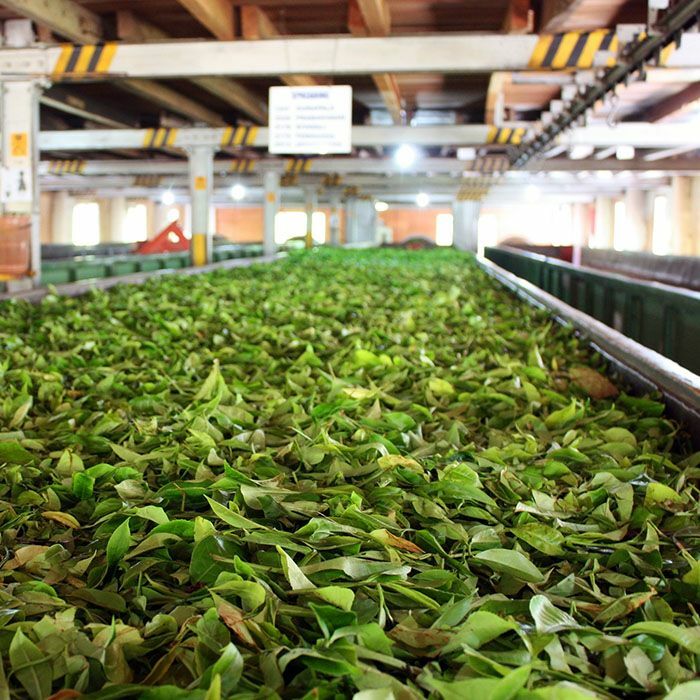 After breakfast, you visit a tea factory, a guide explains the process of manufacturing step by step.The tour ends with a tea tasting, where you discover the different flavors of Ceylon teas. Then you take the road to the south of the country where the landscapes are more arid. Before settling in at your hotel, you have the opportunity to visit the Kataragama Temple, which is one of the main pilgrimage sites in the country. Visit the sacred multi-religious city, which contains a mosque but also Buddhist and Hindu temples. With a little luck, you can attend a ceremony. Dinner at leisure. 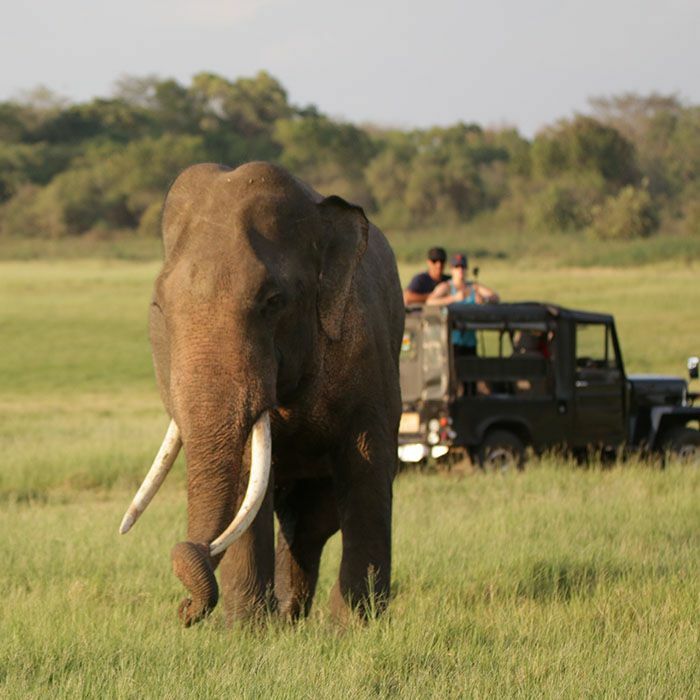 Early in the morning, you go on a jeep safari in Yala National Park, where the huge parkland is home to a variety of animals such as elephants, crocodiles, bears, mongooses, monkeys, deer and various birds. Park is famous for its leopard population, and hopefully you'll see one napping on a rock or another drinking at a waterhole. 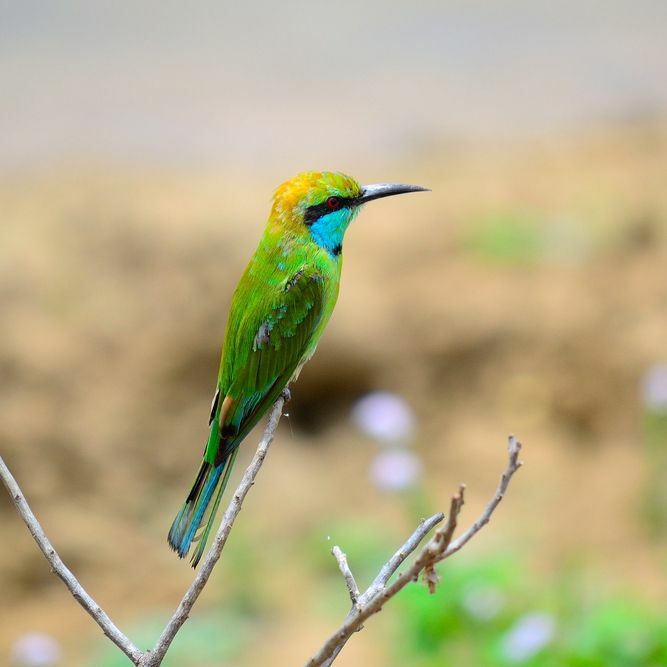 For bird lovers, we recommend the National Park of Bundala. 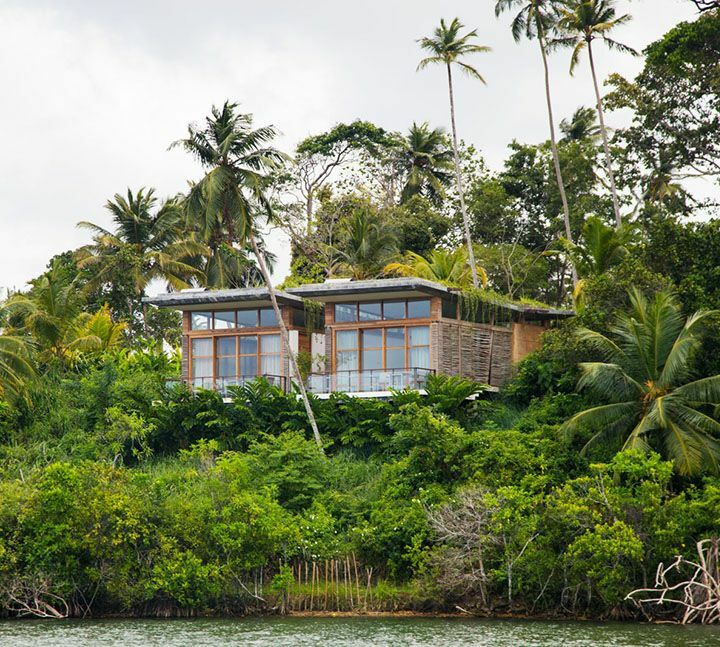 You then take the road along the south coast to Mirissa for your seaside holiday. On the way, you could mark several stops to admire the many hidden beauties such as the Dondra lighthouse, the port of Hambantota, Kirinda Temple. You will then check in to your hotel by the sea. Dinner at the hotel (included). 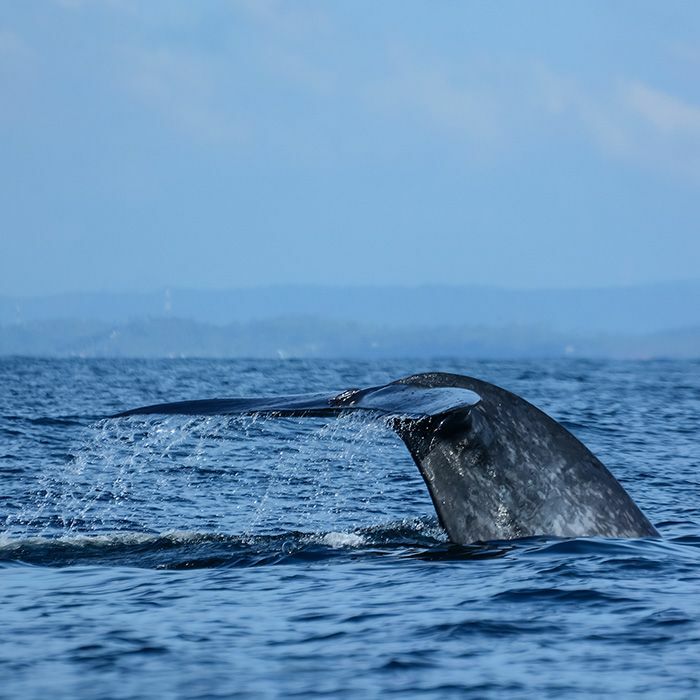 You wake up at dawn for a blue whale watching cruise from Sri Lanka. A snack will be served on board. You return to the hotel for an afternoon of relaxation or activities. A multitude of excursions are available to you in the surroundings. You have the opportunity to explore the beautiful coast and its wild beaches, go diving or snorkeling. 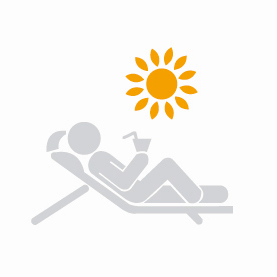 You can also just laze at the pool of your hotel or on the beach. Dinner at the hotel (included).